Euro is still moving close to its lows; the pair hasn’t been able to continue forming an ascending impulse yet. 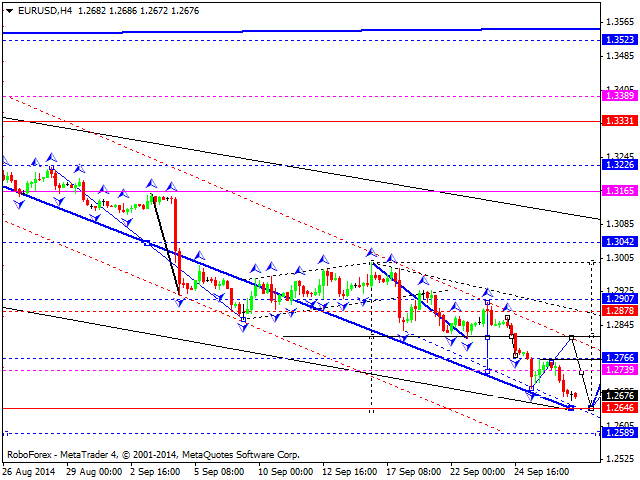 We think, today the price may reach new lows and level of 1.2650. Later, in our opinion, the market may try to form another ascending impulse. The price has been falling for a long time, it has already reached the targets and may start forming a reversal pattern at any moment. Pound is still under pressure and continues moving downwards. 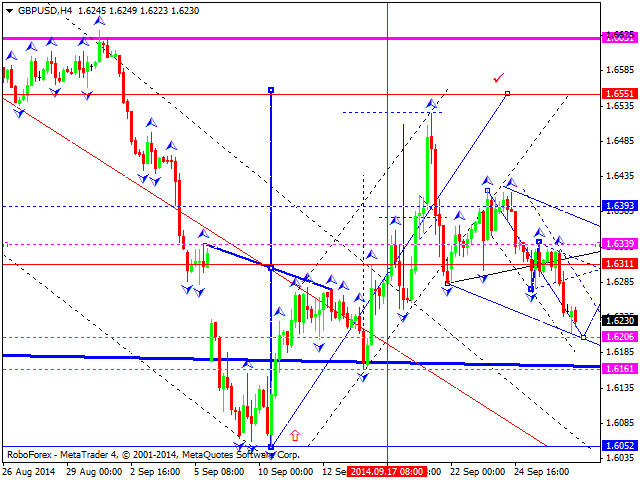 We think, today the price may reach level of 1.6206 and then grow to return to level of 1.6340, at least. Later, in our opinion, the market may form another descending structure to reach level of 1.6180 and then continue moving upwards to level of 1.6550. Possibly, the pair may complete this wave as a three-wave structure. After that, the price may continue growing towards the target. Franc has reached its targets; the pair is expected to form a consolidation range. We think, today the price may reach a new high and then start forming another descending impulse. After this impulse, we’ll estimate whether the pair may form a reversal pattern. Yen has also reached its targets of the growth; a descending impulse, formed later, isn’t strong enough. We think, today the price may reach a new high and level of 109.75. Later, in our opinion, the market may try to form another descending impulse. The structure of this impulse may help the market to choose a moment for a reversal pattern. 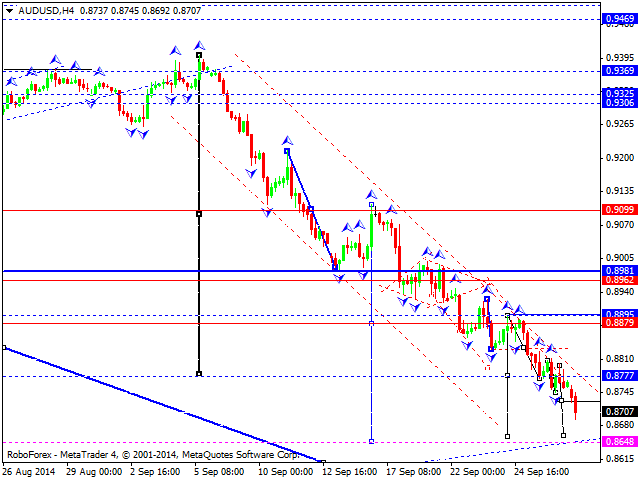 Australian Dollar is still under pressure and continues moving downwards. We think, today the price may reach level of 0.8650 and then start forming an ascending impulse. 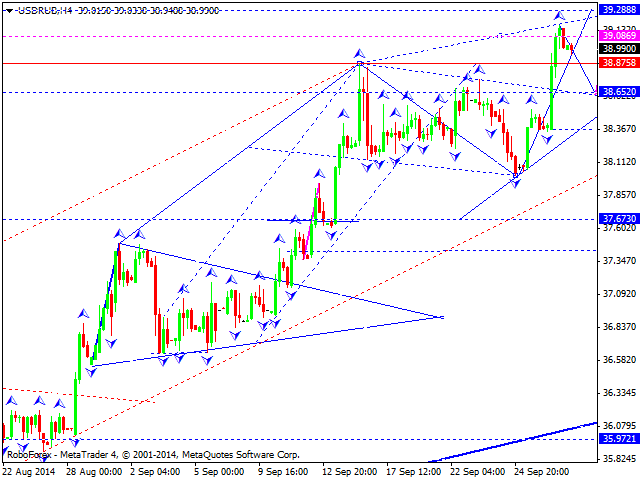 After such structure, we’ll estimate whether the pair may form a reversal pattern. The market is expected to form a new correction, at least. 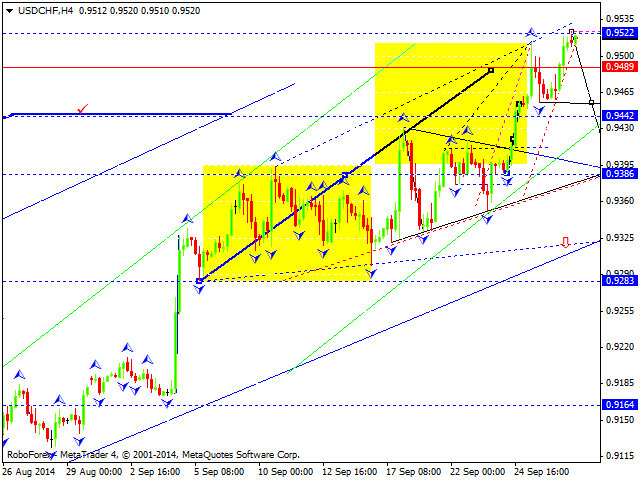 The target of this correction is at level of 0.8960. Ruble has expanded its consolidation channel upwards. 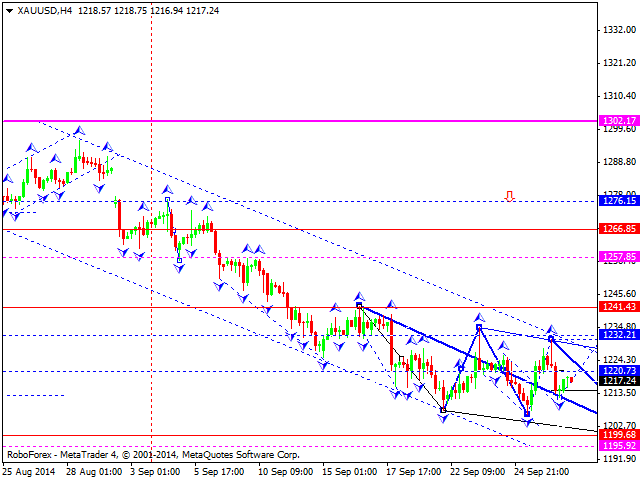 We think, today the price may reach level of 39.20 and then form another consolidation channel and a reversal pattern. 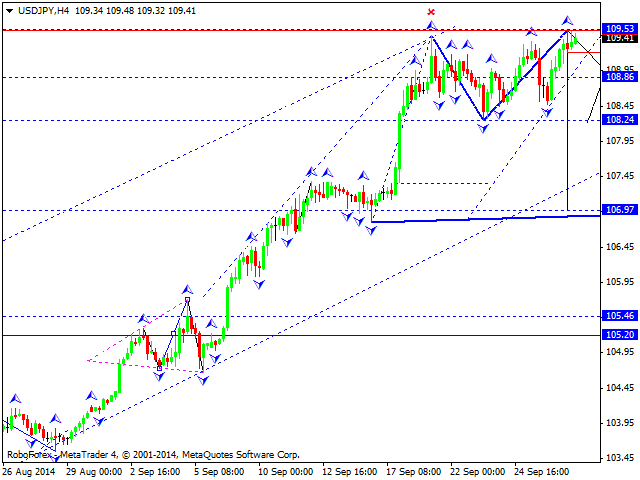 The market is expected to form a correction towards level of 34.00. Gold is still under pressure and continues falling. Possibly, the market may reach level of 1200. We should note that the price has reached its targets of the fall. Further fall may be considered as an attempt to find a level for a reversal pattern. In the future, the price is expected to start a correction. If the market breaks level of 1232 upwards, this correction may continue up to level of 1260.